Prices may be unstable for a few months. It’s anticipated that steel prices could be affected for the next three months as the market attempts to stabilize following the news of the steel tariff. Experts predict that it may take as long as three months for steel prices to stabilize in the United States. The steel tariff is good news in the long run. While the immediate panic may have a short-term negative impact on the steel industry and on the contractors that rely on steel for building materials, the overall effect is positive. The 25% tariff protects the building industry from sub-standard materials. A 25% tariff does not mean a 25% increase in the overall cost of a project. 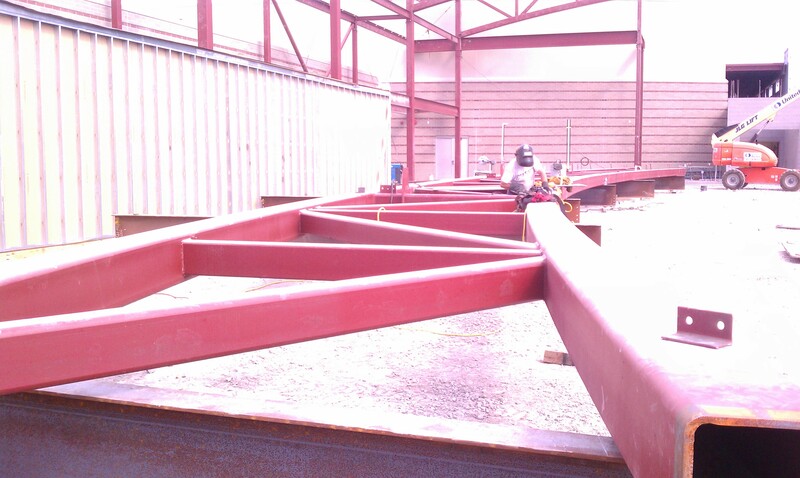 The cost of the steel is just one component of the cost of building a steel structure. The final cost of the project may be impacted by around 2% of the total building project cost, with the cost of the steel itself impacted by about 5-10% even if the full amount of the tariff is passed on to the building project. However, it’s important to note that Midland Steel cannot guarantee any quotes on steel at this time. The price of the project will need to be adjusted to reflect the cost of materials at the time of purchase. Steel is an ideal choice for building, not only for its cost, but also because it is sustainable, recyclable and can be reconfigured into new designs as the use of particular building changes. It’s important to note that the cost of building materials is never static. For instance, while the steel industry has been enjoying low costs, the index cost of concrete has increased approximately 17% in the past four years. There are always fluctuations in the costs of building materials, and it’s important to get more information before changing any plans. Midland Steel continues its commitment to the highest quality steel fabrication and erection for our valued customers and business partners. If you have any questions about how the steel tariff might affect your plans or would like to meet to talk about an upcoming project, please give our office a call. We look forward to serving you.